Therapy Approach: Cognitive-behavioral therapy, Schema Therapy, Structural Family Therapy, Culturally sensitive therapeutic approach. Works with: Depression, Anxiety problems, Traumatic experiences, Loss, Bereavement, Domestic Violence, Sexual and Gender based Violence, Sexual Orientation and Gender Identity, Stress, Anger, Interpersonal difficulties, Self-esteem problems, Relationship problems, Communication problems, Mental health and psychosocial problems of refugees and migrants. Dr. Duygu Cantekin received her Master’s and PhD degrees in Clinical Psychology from the Middle East Technical University (METU) in Ankara, Turkey. Her PhD dissertation, awarded the Best METU Thesis Award, focused on the risk factors and coping resources for the mental health of Syrian refugees in Turkey. During her doctorate studies, she stayed as a visiting researcher for six months at the University of Groningen. 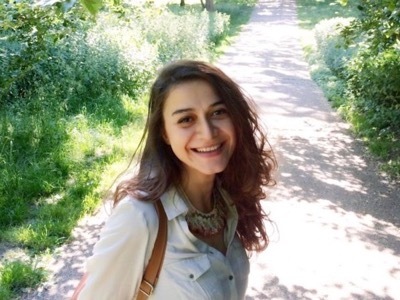 During 2015-2016, she was based at the University of Oxford’s Centre on Migration, Policy and Society (COMPAS) as a post-doctoral visiting academic. Apart from her academic studies, she has worked professionally as a psychosocial officer in post-conflict and post-disaster environments and in refugee camps for Turkish Red Crescent. In addition, she has worked in London as a psychologist with refugees, migrants and women who have suffered from gender-based violence. In 2017, she has founded the Psyche Consultancy in London. She has provided psychotherapy and counseling, training, workshop and research services to individuals, charities, and community centers in London. She is currently an Assistant Professor at Nisantasi University in Istanbul, Turkey. Also, she is a Clinical Psychology Editorial Advisory Board Member of Cambridge Scholars Publishing. At Korto, Dr. Duygu Cantekin provides psychotherapy sessions in English and Turkish for adults. Her works include depression, anxiety problems, traumatic experiences, loss, bereavement, domestic violence, sexual orientation and gender identity, stress, anger, interpersonal difficulties, self-esteem problems, communication and motivation problems, mental health and psychosocial problems of refugees and migrants.